Since 2012, Nashville has been participating in Poetry in Motion, an annual celebration put on by the Poetry Society of America, “helping to create a national readership for both emerging and established poets”. This movement has become a nationwide phenomenon for writers young and old to showcase their works on busses and bus stops in over 20 cities such as Atlanta, Chicago, Los Angeles, and New York. Public transportation hosts thousands of riders everyday, and engages a wide variety of readers with art from their own communities. Beginning in 2018, The Porch teamed up with the Metro Arts Commission and WeGo Public Transit to provide programming for Poetry in Motion in Nashville. Last year’s theme asked poets to provide haikus about mobility, inclusion, and access. The Porch also created an anthology of poems and short prose on the theme of Nashville neighborhoods, featuring poems from 23 local poets. The anthologies were distributed at Music City Central, on buses, and at community locations around the city. The contest-winners’ poetry was launched with an official Poetry in Motion Celebration Day to encourage and establish community within Nashville’s poetry scene, and the winning haikus appeared on the official Poetry in Motion city bus. For this year’s contest, The Porch asked participants to write short poems on the theme of “How I Got Here.” The winners will be announced in mid February, and another Poetry in Motion Celebration day will occur in later this year (date TBD). In honor of this year’s Poetry in Motion contest, we have asked our judges a few questions about their experience selecting the winning poems. 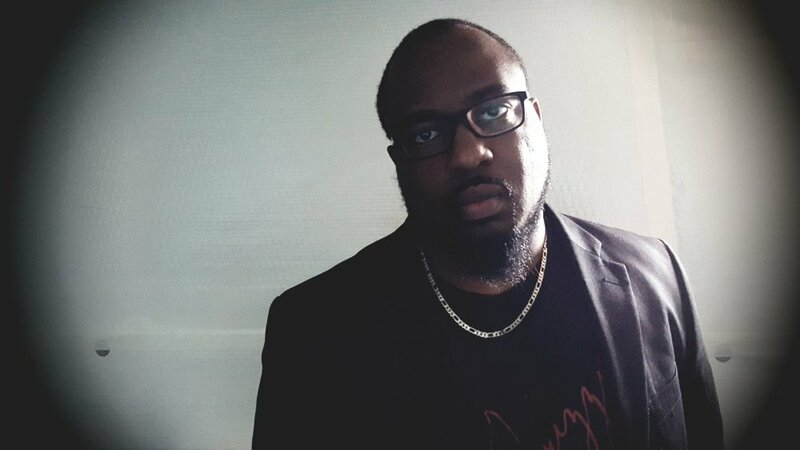 Frank “Frizzy” Skyes, a local poet and spoken word artist, graduated from Austin Peay State University in Clarksville, TN. Frank has performed his spoken word pieces throughout the South, and has a mission to use his voice “to create positive change through the action of love”. Joseph Kane, the Program Director of The Porch’s youth programming arm, SLANT (Student Literary Artists of Nashville, TN), has taught creative writing in Detroit public schools, and has published both poems and stories in a number of magazines including: RHINO, Elimae, theEEEL, Clapboard House, The Splinter Generation, Cricket Online Review, Psychic Meatloaf, Temenos, Right Hand Pointing, Admit2, and the podcast Versify. 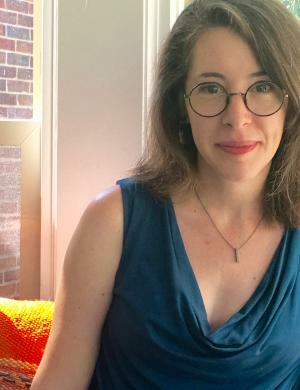 Rosie Forrest is the winner of the 9th Annual Rose Metal Press Short Short Chapbook Contest, and her work has been published with Dogwood Literary Journal, Literary Orphans, Hobart, Wigleaf, Word Riot, Whiskey Island, and SmokeLong Quarterly, among other journals. Rosie was a writer-in-residence with Interlochen Arts Academy, and she holds an MFA from the University of New Hampshire. A Nashville resident, Rosie serves as the Director of Community Engagement for OZ Arts. Frank: I look for the piece to meet the guidelines of the topic, while at the same time creatively saying something to the people that are going to be reading and enjoying it. With this contest in particular, knowing this was going to be visibly posted was a factor in the impact that it would make on the readers for me. Joseph: I try to keep an open mind every time I look at an entry. There are a lot of things that can make a piece of writing good. Mostly, I ask myself, “Is this poem achieving what it sets out to do?” If the author is using a lot of rhythm, does that rhythm carry me through the poem? If the author is using a lot of creative language, does that language feel fresh and captivating? If the author is writing in an intimate tone, do they make me feel connected to their story? Rosie: Of course there’s no magic recipe or equation, but that’s the joy of it. What I look for in a winning piece is what I look for as a reader and lover of writing. I hope for surprise. I hope to uncover a line or phrase that rings true. A piece might make me laugh. Or an image could land crystal clear. If there’s a commonality for these winning poems or any works that stay with me, it would be that I immediately want to read them again – and when I do, something sparks anew. Have you ever submitted your own work to poetry contests? How did that experience (winning or losing) guide your decisions as a judge? Frank: I have. I submitted one online. It was a spoken word contest with the topic "wounded heart." I submitted and won first place. That allowed me to key in more on hitting the topics of what was being asked creatively. Joseph: I have submitted to many publications and contests. I’ve received a ton of rejections, and I’ve been lucky enough to win a few times too. It has certainly given me a deep respect for anyone who submits to a contest. I know that a twenty-word poem isn’t just twenty words. Years of lived experience, hopes, losses, joys go into those words. Turning those experiences into writing and then sharing that writing is a wonderful gift. I try to make the most of that gift by making sure that I am completely present and focused when reading contest entries. I never read entries when I’m tired or hungry. I also make sure to set aside enough reading time to really take my time and enjoy reading each piece. Rosie: I’ve submitted a handful of poems to poetry contests, but as a fiction writer primarily, most of my submissions tend to be short stories or flash fiction. But to submit your work is to submit your work. It’s vulnerable, it’s exhilarating, and if we’re honest, most of the time submission is met with rejection. No matter which side of the submission process I find myself, I try to enter the process with a whole lotta heart and big time respect for the beauty of subjectivity. What is the biggest challenge you face in judging creative works? Frank: When they all are good. That's the hard part and biggest challenge. It's hard to choose between greatness. Joseph: The biggest challenge was definitely the fact that we received way more good poems than we could include in the project. This year we received hundreds of poems, and I was blown away. I know that Nashville is a creative city, but to see so much creativity from so many people all at once—it’s a bit of a shock. Rosie: As a judge for Poetry in Motion and other contests as well, I’d say the biggest challenge (and the biggest gift) is that there’s no right answer. In fact, as I read pieces over and over again, peeling back layers, in many ways the process becomes more difficult as it goes along. But I wouldn’t have it any other way! Immersing oneself in the work and discussing the merits of each poem is a wonderful and inspiring way to spend time. What do you do when you can’t decide between two pieces? Frank: Hope that one of the two people are lucky when it comes to this coin being flipped. LOL! Joseph: It’s tough to be sure. That’s why we always have three judges. No one judge has final say on who wins. When we have to make difficult choices, we just debate until we reach a consensus. Sometimes hearing someone else explain why a poem speaks to them helps me see it in a new light. But when you get to the last few finalists, there’s no easy way to do it. Rosie: This happens more often than you might think. I would say most of our group conversation lived in this in between space. Again, with no right answer, the discussion allowed us to share our personal responses, the intangible qualities, language that leapt of the page. I loved hearing the ways in which certain poems spoke to the other judges, and often, this would be enough to change my mind. When multiple pieces rise to the same point, I think the only answer is to be open and generous with one another – and recognize that when the decision is tough, it’s a terrific problem to have. What do you want Poetry in Motion to portray to Nashvillians? Or what message do you hope they might get from the poems? Frank: The awareness of poetry in the community. The knowledge of knowing that the art is still alive and thriving. The curiosity to create involvement. The knowledge and understanding that we are not alone in thought. Joseph: I hope that the poems encourage viewers to reflect on their own life journeys. Often, we’re so busy trying to get through life that we don’t think about all the past people, places, and decisions that make us who we are. I’m certainly guilty of that. But the magic of creative writing is that reflection is contagious. Reading about someone else’s experience helps us pay closer attention to the story that we’re living every day. Rosie: I think about the small moments of a day – the moments that pass, sometimes in a haze, and suddenly, we find ourselves back home. For me, poetry on bus stops is a way to offer Nashvillians a window or a brief pause for reflection. Maybe they revel in the language of the poem or maybe the poem extends a hand to a passerby. We can all use a moment of stillness and connection wherever we can find it. To stumble upon a little art and creativity in our daily lives, only good things can come of it. A huge THANK YOU to our judges, Metro Arts, WeGo Public Transit, and everyone who submitted to the contest! We’ll announce the winners soon.